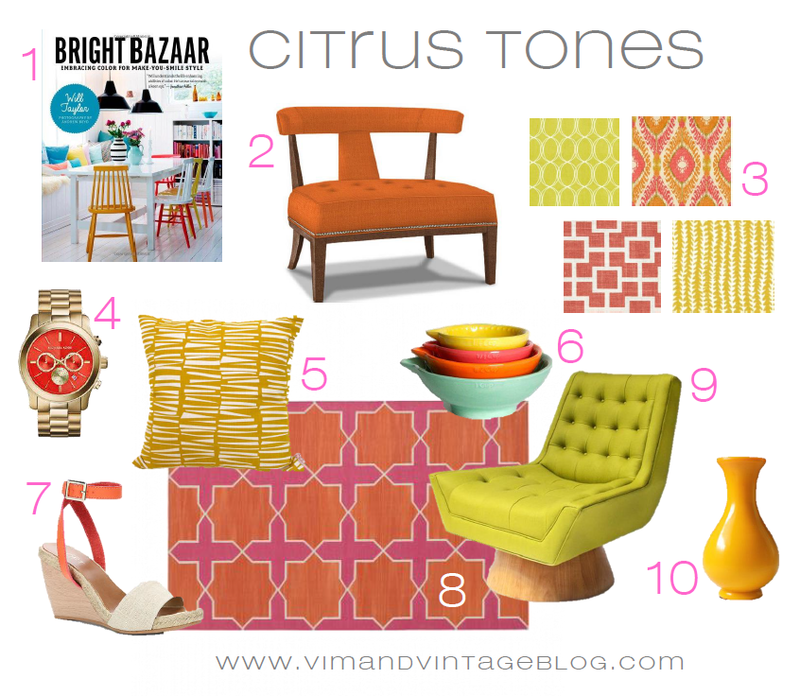 color stories | Vim & Vintage - design. life. style. It’s a cold and dreary February morning here in Texas. I don’t want to get out of bed. 36 degrees may seem warm to half of the US right now, but my skin has definitely thinned out in my years removed from the Mitten State. Although I can’t seem to count the good things about this time of year on 2 hands, one thing that can be beautiful is the peaceful solitude and lack of color. Grays + creams seem to go hand-in-hand with winter. They are soft and subtle. Deep and calming. They make you just want to curl up in a corner with a blanket. 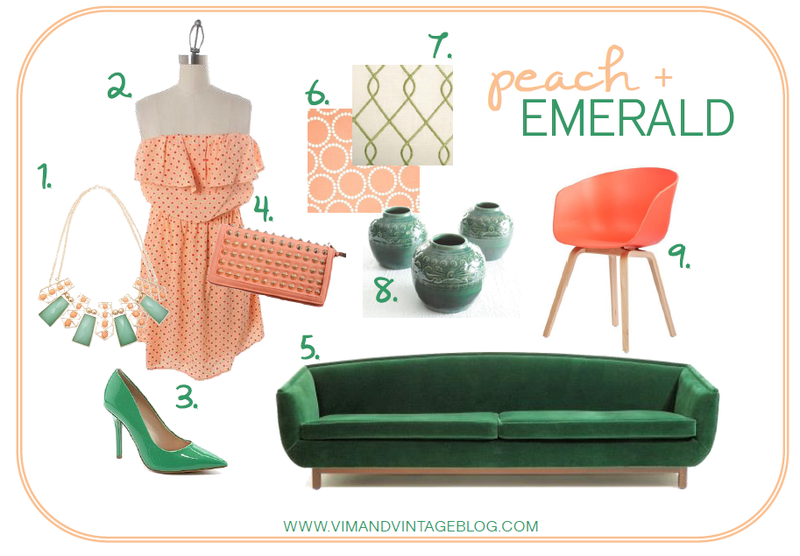 I think that is why this color combo is so popular in bedrooms. A kitchen composed of all neutrals is my absolute fave. I love how light and open it feels. Gray and cream can be quite stunning. And stylish. 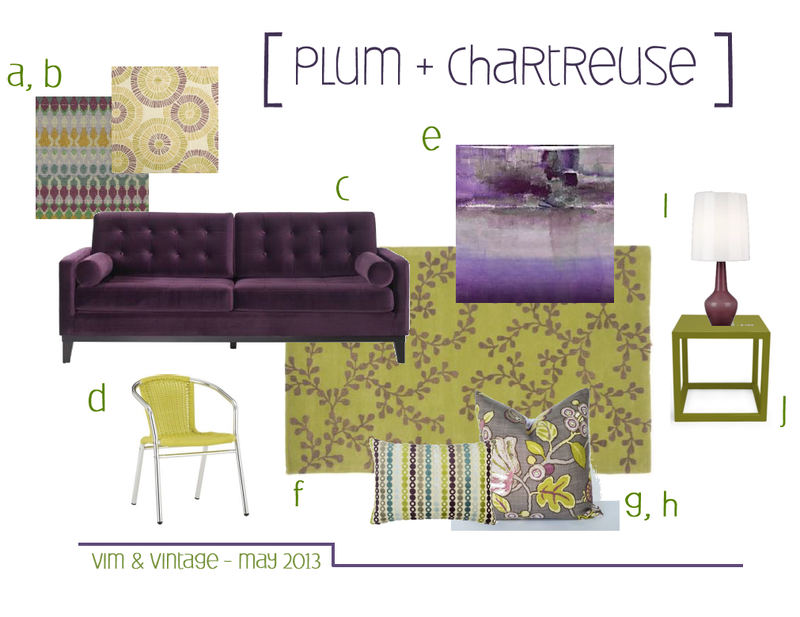 Chartreuse and Plum: A dynamic duo. Fresh and spunky, yet deep and powerful. They are not your usual couple, but hey I’ve heard opposites attract. 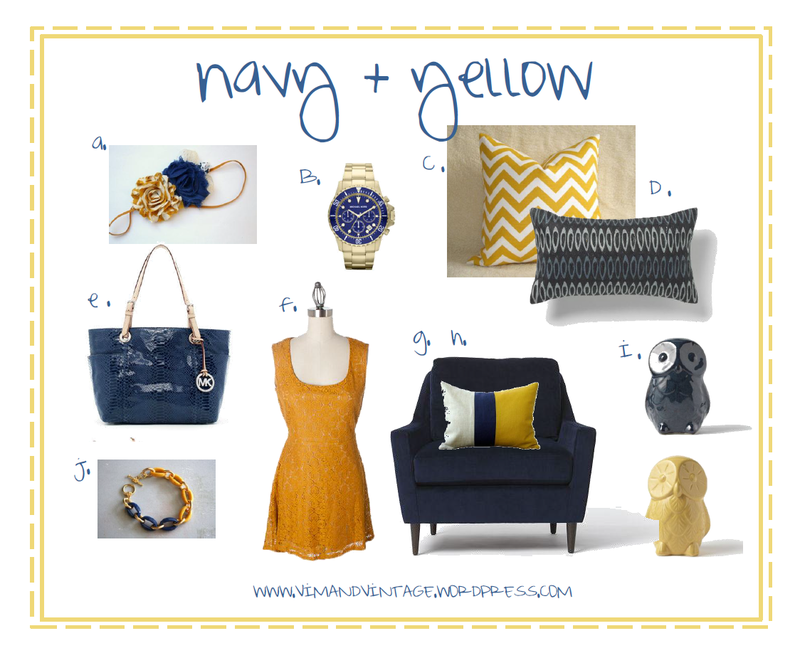 Even as bold as each color is, these two can share the spotlight together if done correctly. Both colors a little muted here and they compliment each other beautifully. Love it with the lilac or raspberry too! The key is to blend the greens and purples with other neutrals, browns, blacks, or whites. Mixing in rich brown tones and/or black (as shown above) gives off a luxurious feel. 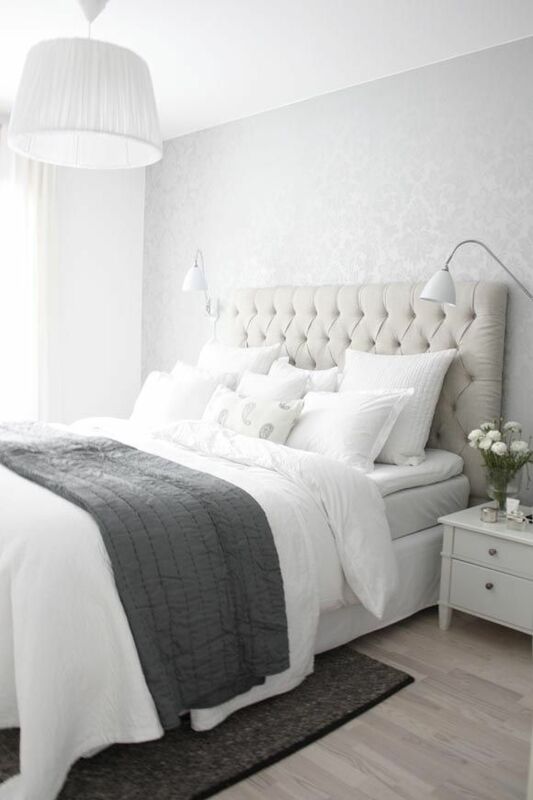 Or use white in the color scheme (shown below) to achieve a more serene & sophisticated environment. Using gold with these 2 colors looks great too!